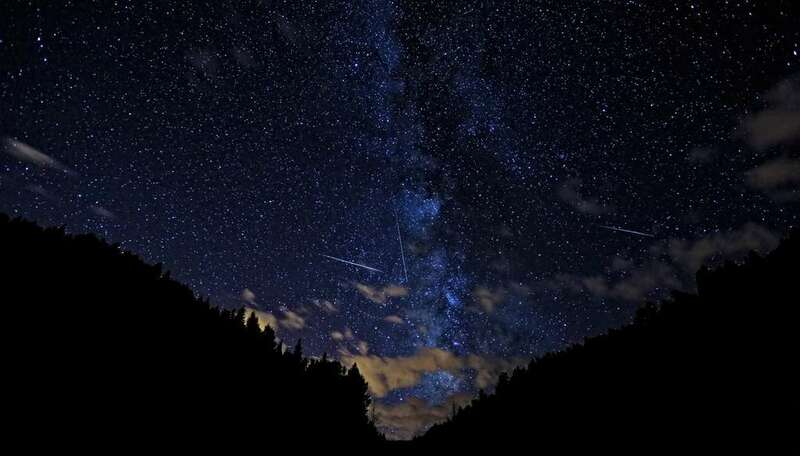 If you’ve ever seen a meteor shower, you’d know it is a pretty spectacular sight with lights streaking and falling across the night sky. Although they are rather common these days, we may be lucky enough to catch a glimpse of a never-before-seen meteor shower this coming May. Meteors are created by tiny, dust-sized particles, usually from comets but sometimes asteroids as well, that travel through the atmosphere at hypersonic speeds. This causes such a buildup of pressure in front of the traveling particles that it causes extreme heating, leaving the visible line we see and interpret as a shooting star. We see meteor showers when Earth’s orbit passes through a dust stream caused by several comets, creating several meteors at the same time. The problem with the possible May 24 shower is that there is no evidence whether Comet 209P/LINEAR was active in the 19th century. Without any activity, the comet would not produce any dust particles and thus no meteors for a meteor shower. If you still have faith, the best viewing times will likely be between 2 and 4 a.m. EST on May 24th, with North America as the favorable spot to catch a meteor or two.